DahDah!! The official image of the Happy Prince is here and isn’t it lovely. This is an exquisite commission involving music, storytelling and theatre. Composer Vincent Kennedy, conductor of Donegal Youth Orchestra along with writer, actor, storyteller and musician Little John Nee will write and perform an orchestral/narrated Donegal adaptation of Oscar Wilde's 'The Happy Prince'. I cannot recommend this highly enough, and particularly for a family audience – the Happy Prince is beautiful and meaningful, exploring timeless themes of love, friendship and compassion. 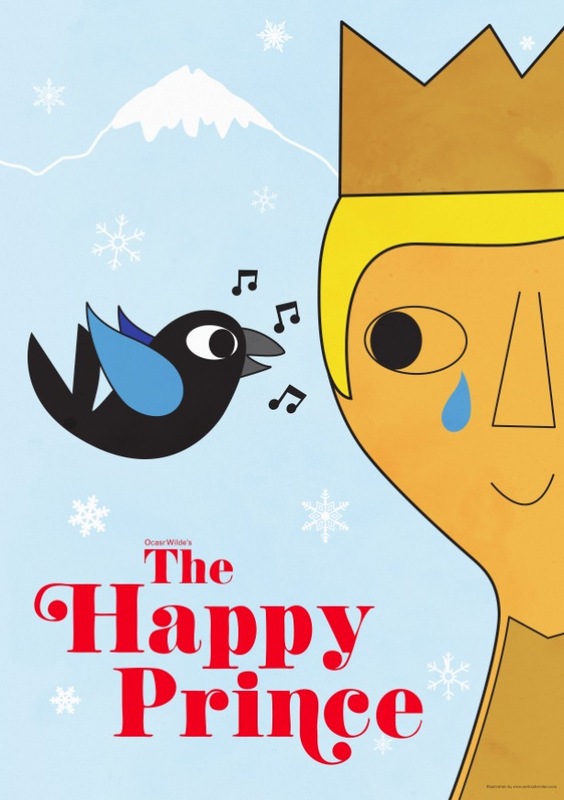 Produced by Donegal County Council Public Art in conjunction with An Grianan Theatre, The Happy Prince will be on stage at An Grianan Theatre on April 14th & 15th and in the Abbey Theatre, Ballyshannon on 21st April. Prepare to laugh and cry, you will not be disappointed!